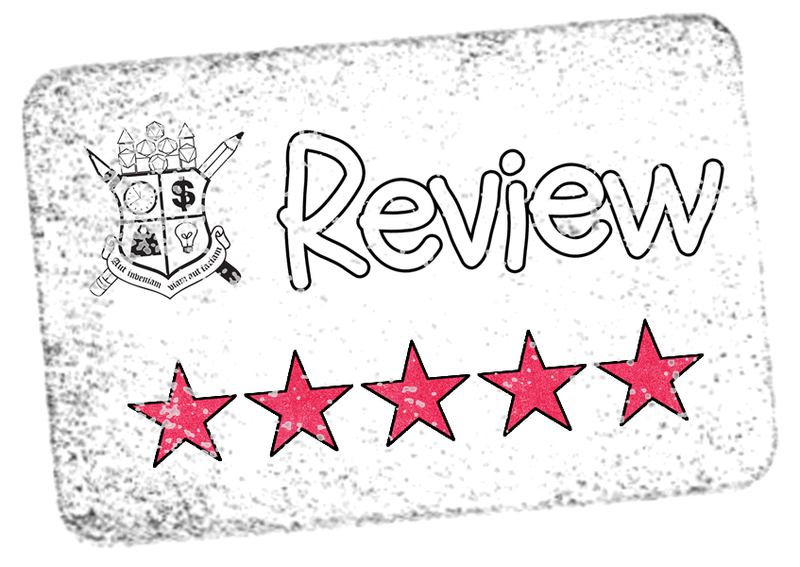 The Frugal GM is back with another review of free Drive Thru RPG product. Up this week is an excellent adventure from Ye Olde Gaming Companye. 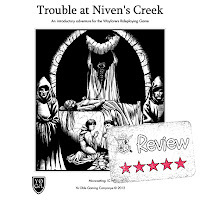 Entitled "Trouble at Niven's Creek", this adventure is designed for a party of 0-2nd level characters using the Wayfarers Roleplaying Game. I'm not familiar with the Wayfarers Roleplaying Game, but that isn't going to stop me from enjoying this (or most any) adventure. Just because a GM will have to adapt an adventure to suit their own needs, it doesn't mean that you should gloss over these offerings designed for other game systems. I don't want to add any spoilers, but I really liked the micro-setting of a small logging town, a handful of NPCs, and this well put-together tomb. I'm playing in a low-magic campaign and it wouldn't take much to tweak this setting for my next game session. I especially enjoy the little extra effort the authors took to suggest alterations that could be made to make the adventure, setting, and NPCs useful later on. I think that Jimmy Swill, Trouble's author did a great job putting just the right amount of info into the adventure to make it useful for players of both this one game system and many other FRPGs. If the writing on other adventures is this good, I will be looking at adapting other Wayfarers Roleplaying Game adventures for my own use. For some reason or another, this adventure is no longer available on Drive Thru RPG or even mentioned on the Ye Olde Gaming Company website. I've left the links intact in case it comes back.